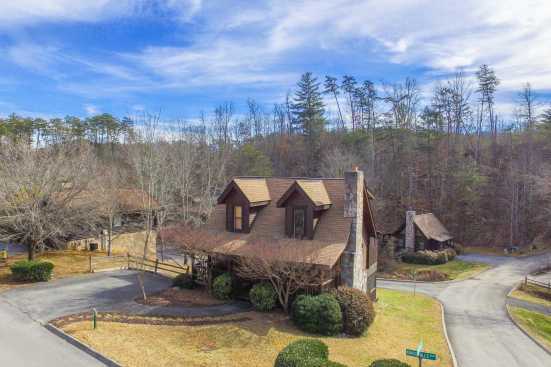 Welcome to Eagles Ridge Resort, the perfect Eastern Tennessee vacation rental. Eagles Ridge offers cabins ranging from one to nine bedrooms. So, whether your away on a romantic getaway or your traveling with a large group of family or friends, we have you covered. The cabins have many spectacular amenities including but not limited to free Wi-Fi, game rooms including billiards tables, outdoor hot tubs, and of course breathtaking mountain and wilderness views. Eagle Ridge Resort is in Pigeon Forge, Tennessee and is just minutes from the world-renowned Smoky Mountain National Park. Smoky Mountain National Park is known for its beautiful wilderness, wildlife, and breathtaking mountaintop views. If retail therapy is more your style, there are over three hundred boutique shops just minutes from the resort. The shops carry many unique items such as custom blown glass, handmade leather goods, and a variety of souvenirs to remember your vacation from. The resort also boasts multiple hiking trails and serene waterfalls so gorgeous you may not feel the need to leave the resort grounds at all. SmokyMountainsByOwners.com is your one-stop shop for all your Pigeon Forge vacation needs. We aim to take the hassle and stress out of the booking and vacation planning process, so you can enjoy your vacation. SMBYO.com prides itself on being the only booking site you ever need to look at for Pigeon Forge vacations.